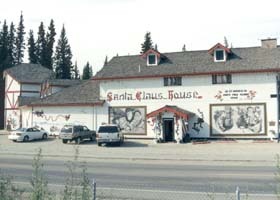 I took most of the following photos on my summer 2001 vacation, relating to the Fairbanks suburb of North Pole, southeast of the city on the Richardson Highway (state route 2). 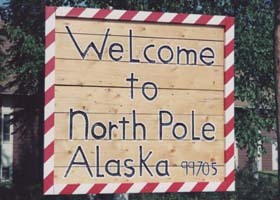 North Pole is supposedly where letters to Santa end up, and as you'll see the town goes to great lengths to play up its Christmas connection. 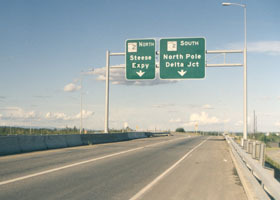 At the north end of the Parks Highway (state route 3) approaching the interchange with the Steese Expressway and the Richardson Highway (both parts of state route 2), the exit sign seems to tell motorists to go south to the North Pole. 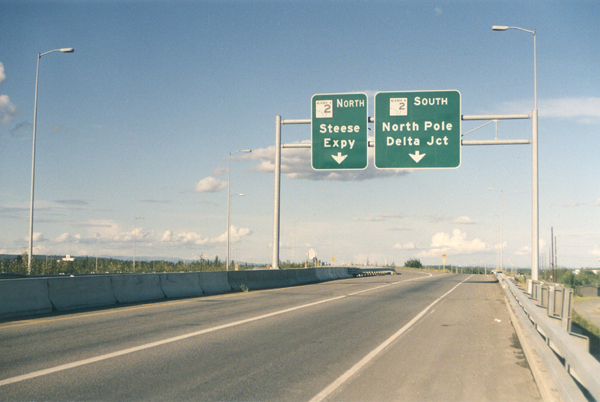 This is the main exit to North Pole, on the Richardson Highway northbound with the town to the left. 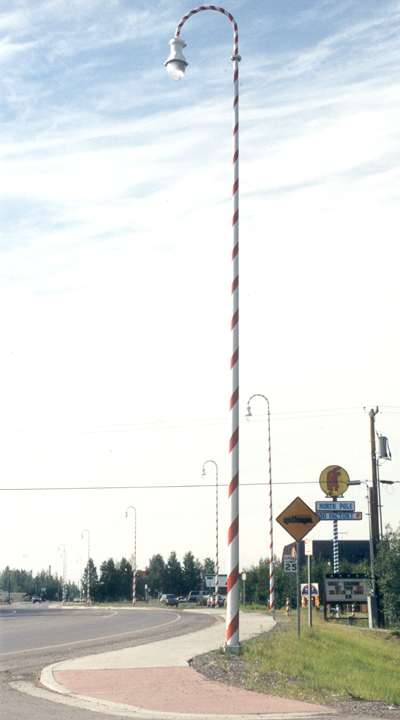 The candy-cane striping on the McDonald's sign is just the first taste of the Christmas theme you'll find once you turn off the expressway. 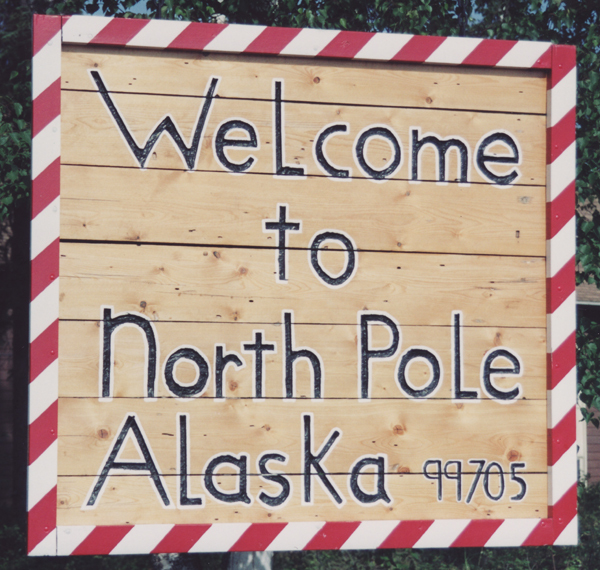 The welcome sign to North Pole, in the neat block letters of elementary school children, before they've switched over to keyboards and let their handwriting fall to pieces (in my case, to the point of near-illegibility ;-). 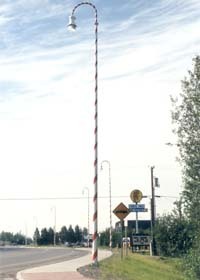 The Christmas theme in North Pole extends even to the candy-cane light poles. 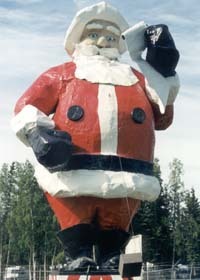 This fiberglass Santa, on the grounds of Santa Claus House (see below), greets motorists passing through North Pole on the Richardson Highway. 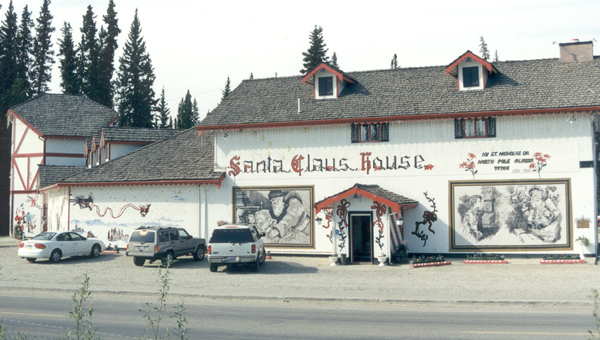 Santa Claus House, on a frontage road along the southbound lanes of the Richardson Highway. 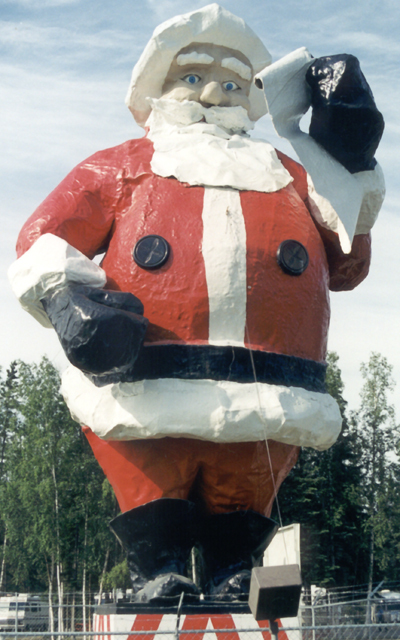 © Oscar Voss 2003-2004, 2007, 2017.